Sometimes tax planning brings immediate benefits, but often the benefits of tax planning take time to be realized. Many people are scrambling to get their taxes done for the current year, so it is too late to do any planning for the previous year. Assemble a team of good professional advisors. A deferral strategy attempts to delay when tax will be paid. Deferring tax means you might eliminate the tax this year, but you will have to pay eventually. 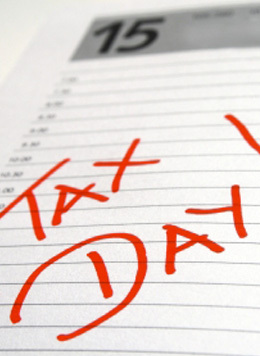 Generally tax deferral has two advantages: It is better to pay a dollar of tax tomorrow than it is to pay a dollar of tax today; and tax deferral typically puts the control of when to pay the tax in the hands of the taxpayer instead of in the hands of the Canada Revenue Agency (CRA). Dividing taxes (or income splitting) implies taking an income and spreading it among numerous taxpayers. For example, it is better to have two people (say a husband and wife) pay tax on incomes of $35,000 each than one person pay tax on an income of $70,000. Unfortunately, you cannot arbitrarily decide who is going to claim what amounts for income. Use either inter-vivo or testamentary trusts. Please refer to our RRSPs section for information on associated tax laws.